Start right away putting up a baby gate or keeping the door closed to help your dog learn to stay out of the baby’s room. Later on, you can allow the dog in the room, especially if you are in there, but it’s best to prepare him at first to stay away. Introduce your dog to some other babies. If he’s never been around a baby, carefully introduce some into his life. He is much less likely to be anxious around your baby if he is introduced gradually. A baby’s behavior is not predictable, so your dog has to be the grown up in this case. If your dog does not obey you, it’s time for some training before the baby arrives. If your dog is a male, and you haven’t had him neutered, this is a good time for that, too. It should make the dog calmer and more well mannered. Then, there’s the cat – some of the same ideas work for cats, too, except that training them to stay out of a room is pretty difficult. They scale baby gates, and cribs, by the way with ease. So, in addition to a baby gate, it’s wise to purchase a net to go over the crib, to keep the cat out. Also, if your cat sleeps with you, don’t put the baby in your bed with the cat in the room. 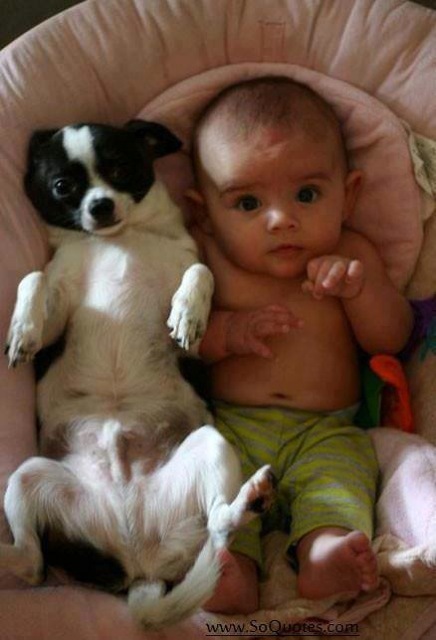 For both types of pets, keep the food and water bowl away from the baby. Babies love to play in them, and this can not only make a mess, but can cause the animal to be even more jealous. Also, at some point, if your child can get to the pet food, he will try to eat it. I promise. Your child and your pets should develop a good relationship with little trouble. Just be diligent for a while until everybody is comfortable, and you should continue to have a happy home. This entry was posted in News and tagged baby, pets. Why work for someone else when yon can own your own family friendly business that doesn’t cost an arm and a leg. All Baby Hire is set to become the leader in baby hire equipment for Australia. You could be a part of this fantastic franchise opportunity.